Bald Eagle Commons is a 55+ community in West Milford, NJ. This impressive neighborhood was developed between 1995 and 2005 and contains 463 low-maintenance homes. A sprawling clubhouse sits at the center of the community and has a variety of amenities to keep homeowners socially and physically active. Residents also love being in a highly desirable location in Passaic County, surrounded by a state forest, park, and lakes. 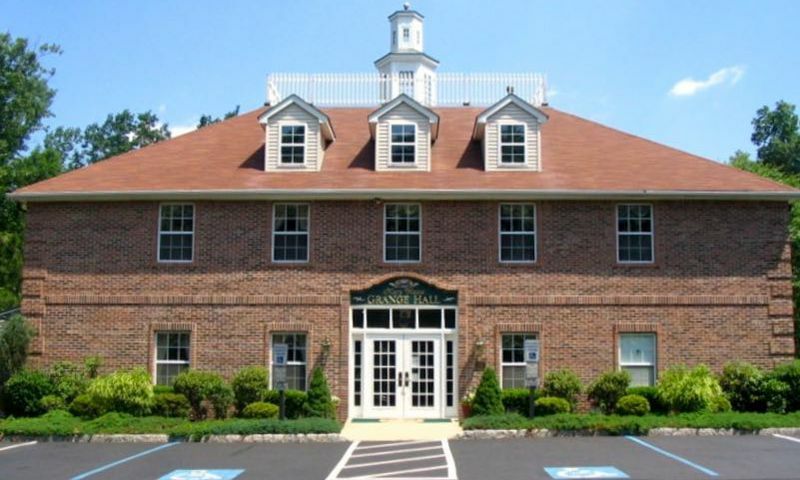 This is a spectacular active adult community to call home for 55+ residents in New Jersey. Homeowners have a two-story clubhouse called Grange Hall to call their own, featuring an enviable list of amenities to enjoy. A well-equipped exercise room keeps residents in great shape, while a multi-purpose room hosts resident get-togethers. Friendly competition is held in the game room, card room, or around the billiards tables. Catch a movie in the media center or pick up a new hobby in the crafts studio. A library is perfect for bookworms and the community's meeting space, called The Keeping Room, can be rented out for private events. The outdoor amenities allow residents to make the most of the warmer months, starting with the sparkling pool, spa, and patio. Staying in shape is easy with tennis, bocce ball, and shuffleboard courts. There are also horseshoe pits for a leisurely afternoon with neighbors. Bald Eagle Commons is a beautiful community that takes advantage of the natural surroundings by incorporating parks and natural space throughout the grounds that are connected via walking and biking trails. Outdoor social areas include a BBQ area and gazebo. Homeowners also have access to a shuttle bus that takes them to the clubhouse and a car wash area. Green thumbs also enjoy the on-site greenhouse. This 55+ neighborhood was developed between 1995 and 2005 and has 463 attached and condominium homes. The community has a select number of attached homes available on a resale-only basis. These options generally range in size from 2,175 to 2,414 square feet of living space with two or three bedrooms, two to three bathrooms, and an attached one-car garage. Some of these homes include fireplaces, vaulted ceilings, hardwood floors, and breakfast nooks. Most of the homes within this community are condominium style. These units come in four separate floor plans that range in size from 655 to 1,581 square feet and have one or two bedrooms, one to two bathrooms, and an assigned parking spot in front of each building. These condos boast private patios, open layouts, storage units, and some boast wood floors. Neighbors in this active adult neighborhood are constantly gathering for social events and to explore common interests. Make staying in shape a social activity with groups for aerobics, Tai Chi, yoga, hiking, or aquacise. Meet new neighbors with holiday parties, pig roasts, ice cream socials, and BBQs. There are also organized groups for interests as diverse as art, crafting, books, golfing, and even travel. The activities director also plans overnight trips and excursions to casinos and other local destinations. The community's constant activity is sure to keep residents as busy as they'd like. Bald Eagle Commons is located in West Milford, NJ. Just outside of the entrance is a restaurant and pharmacy while, a ShopRite, Walgreens, more restaurants, and banks are less than two miles away. Route 23 is less than eight miles away for getting around the area, while Newark International Airport is about an hour away. West Milford is a great place to call home for those who love outdoor recreation. The 145-acre Long Pond Ironworks State Park doubles as a historical site and is a local favorite for learning about the area while enjoying a quick hike. Just outside of the community are Abram S. Hewitt State Forest, Norvin Green State Forest, Wawayanda State Park, and Greenwood Lake. The famed attractions of New York City are just 45 miles away. Bald Eagle Commons has a great location for nature lovers looking for a 55+ community in Passaic County, NJ. There are plenty of activities available in Bald Eagle Commons. Here is a sample of some of the clubs, activities and classes offered here. Bald Eagle Commons has a select number of attached homes available on a resale-only basis. These options generally range in size from 2,175 to 2,414 square feet of living space with two or three bedrooms, two to three bathrooms, and an attached one-car garage. Some of the attached homes include fireplaces, vaulted ceilings, hardwood floors, and breakfast nooks. Please Note: Floor plans are not available at this time. Most of the homes within this community are condominium style. These units come in four separate floor plans that range in size from 655 to 1,581 square feet and have one or two bedrooms one to two bathrooms, and an assigned parking spot in front of each building. These condos boast private patios, open layouts, storage units, and some boast wood floors. Please Note: Floor plans are not available at this time. 55places.com is not affiliated with the developer(s) or homeowners association of Bald Eagle Commons. The information you submit is distributed to a 55places.com Partner Agent, who is a licensed real estate agent. The information regarding Bald Eagle Commons has not been verified or approved by the developer or homeowners association. Please verify all information prior to purchasing. 55places.com is not responsible for any errors regarding the information displayed on this website.